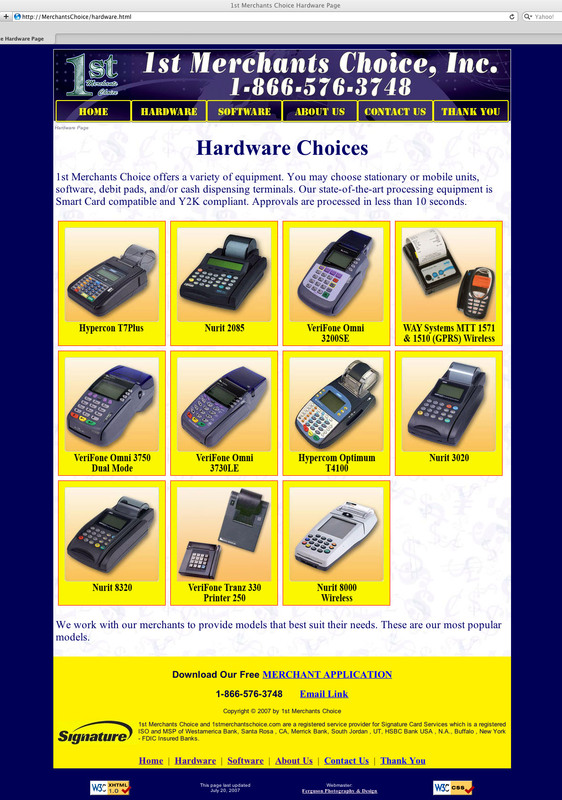 A smaller sized informational website using XHTML and Flash for a credit card services company. The site includes 6 basic pages, 1 flash animation and a contact form. The site also included a downloadable PDF application. Homepage (above) and Hardware page (below).